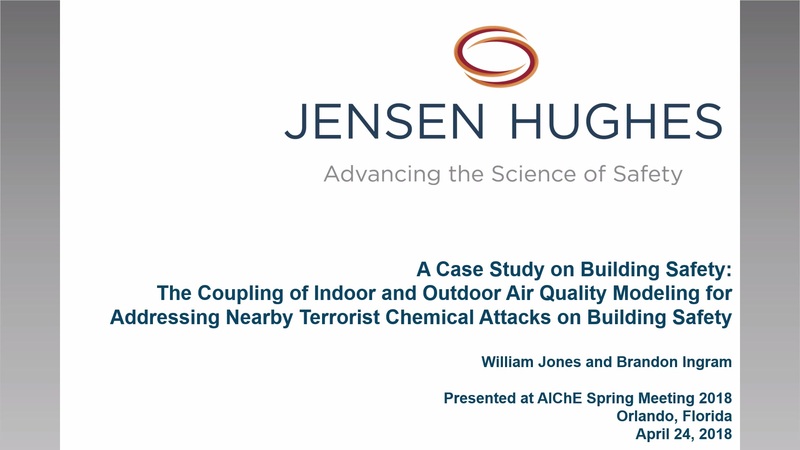 Terrorist attacks using chemical or biological agents represent an increasing threat to building safety. Impacts from these types of attacks are of great concern to architects and engineers designing new buildings as well as administrators of existing structures. Air dispersion modeling can be used to assess this threat. An âoutdoorâ air dispersion model can be used to predict the dispersion of a given agent through the atmosphere, while an âindoorâ air dispersion model can be used to predict the transport of that same agent through a building given the geometry of the building and its ventilation system. A case study illustrating modeling of a fictitious terrorist attack will be conducted, using a combination of the models AERMOD and FDS to simulate dispersion through both the atmosphere and within the building. The inputs required to conduct such an analysis and the conclusions/recommendation that can be made will be summarized.